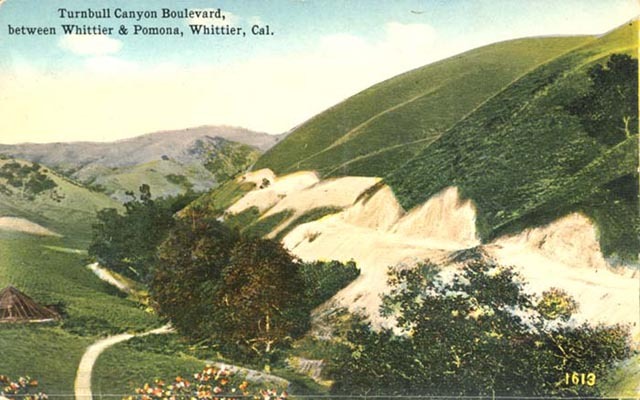 La Puente Valley is a region of eastern Los Angeles County originally inhabited by Gabrielino Indians until 1769, when Spanish soldier and explorer Don Gaspar de Portola and his expedition arrived in the area, then lush with oak and alder trees, blackberry bushes, and grapes. According to legend, Portola named the region “Llana de la Puente” – meaning “Plain of the Bridge” – after making a bridge of poles so his party could cross San Jose Creek. Two years later the San Gabriel Mission was established as the first European settlement, and with its fertile soil, ample water, and abundant Native American population for a labor force, the mission soon became the richest in California. Following Mexico’s 1822 independence from Spain, however, the San Gabriel and other missions were secularized starting in the 1830s, their properties sold or given away by a Mexican government eager to profit from the missions’ wealth. Drawn to California by such a splendid opportunity to acquire land, friends and business partners John Rowland and William Workman led a wagon train of settlers west from Taos, New Mexico, to Southern California, arriving in the valley in November 1841. 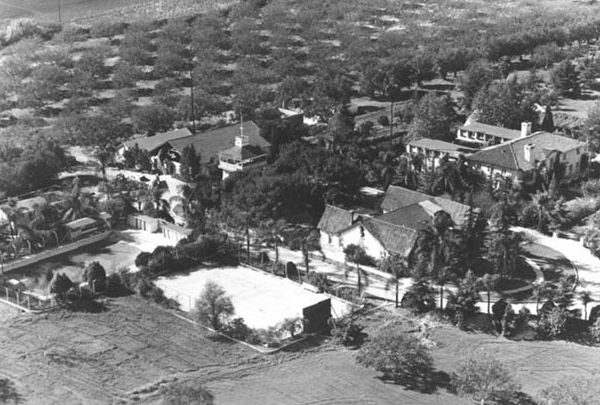 Within months they had petitioned for and received preliminary title – finalized in 1845 – to the Rancho La Puente, a 48,790-acre tract that formerly belonged to the San Gabriel Mission. 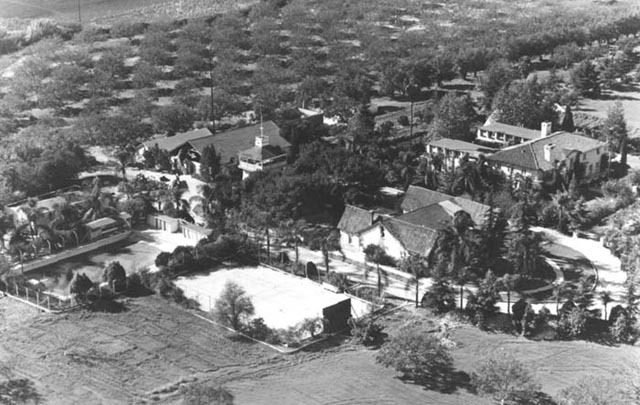 The ranch extended from the hills of what is now Hacienda Heights to San Bernardino Road in Covina, and from the San Gabriel River to Walnut and Pomona; and it encompassed what is now Baldwin Park, Charter Oak, Covina, La Puente, West Covina, and much of the Puente and San Jose hills. 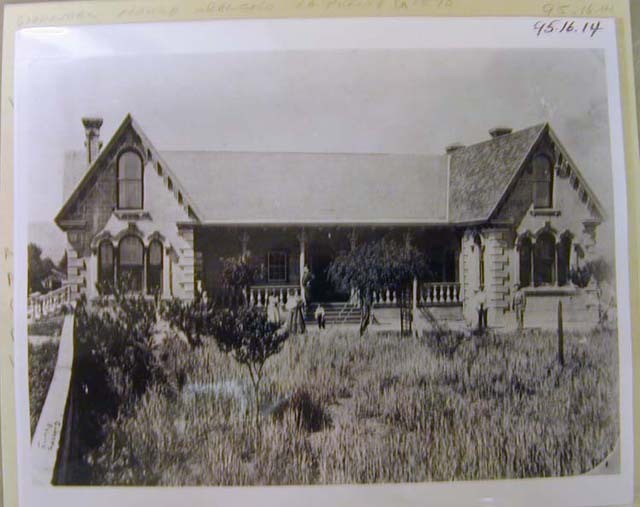 Rowland and Workman built adobe homes and established a thriving agricultural community engaged in ranching and farming. In 1851 they divided their property roughly in half, each continuing to work his land, but following their deaths in the 1870s their respective parcels were bought and subdivided by developers, who then started communities that included La Puente and Hacienda Heights. La Puente Valley attracted numerous settlers during the 1840s with the Gold Rush and again in the 1870s with railroad lines. 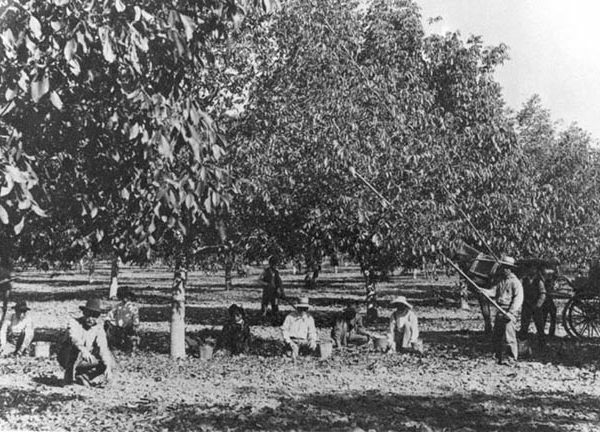 By the early twentieth century the region was known for its abundance of citrus, walnut, and avocado crops, and maintained its agricultural character – mixed with growing industrial development of oil, banking, and communications – through the middle of the twentieth century. After World War II, the region underwent a building boom that eventually edged out crops in favor of development, and today is mostly residential in nature. 1. What can you tell me about the early history of the area? Though originally inhabited by Gabrielino Indians, Europeans first made their mark on the area when La Puente Valley was claimed by the Spanish government starting with the 1771 founding of the San Gabriel Mission. Aided by good soil, plentiful water, and lots of Native American labor, the mission became the wealthiest in the state of California. Following Mexico’s independence from Spain in 1822, Mexico during the 1820s and 1830s secularized the missions and gave away or sold their properties. John Rowland and William Workman were among the early European settlers drawn to California by such an enticing opportunity for land. In November 1841, they arrived with a wagon train of settlers from New Mexico; traveling well over a thousand miles through desert and mountain terrain to reach their new home. Early in 1842, Rowland and Workman applied for a land grant from Governor Juan B. Alvarado at Monterey-then the state capital-and obtained title to the nearly 49,000-acre Rancho La Puente for only $1,000 in gold and a pledge to hire the local Native Americans. 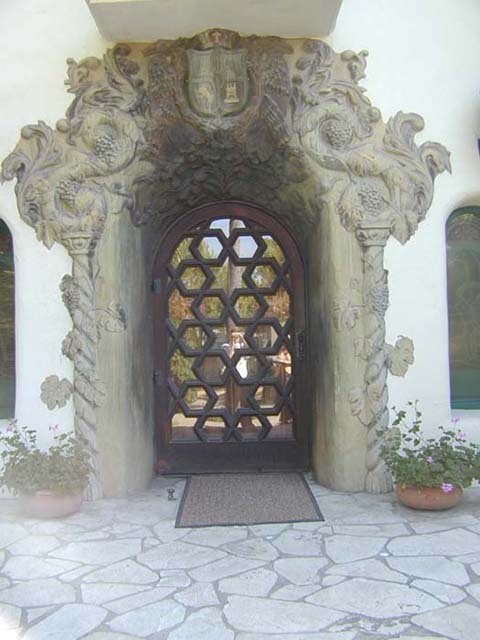 Rancho La Puente prospered and by 1850 was practically self-sufficient. Though the two men split the property in 1851, they continued working the land successfully with grist mills, cattle ranching, wheat growing, and wine and brandy production. Rowland’s property was divided among heirs following his natural death in 1873, while Workman’s was relinquished to a creditor following failure of a bank he helped found-a tragedy which led him to commit suicide in 1876. 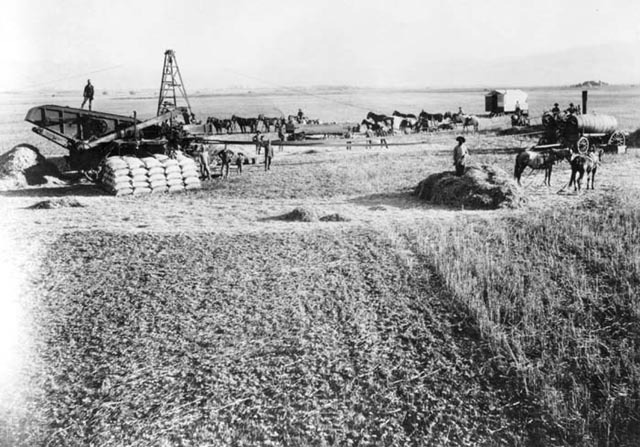 Though their properties were later subdivided and developed as towns and cities, the valley remained mostly agricultural through the mid-1900s. However, in the early twentieth century the Valley was also the site of considerable industrial development in the oil, banking, and commercial industries. 2. What can you tell me about the agriculture of La Puente Valley? 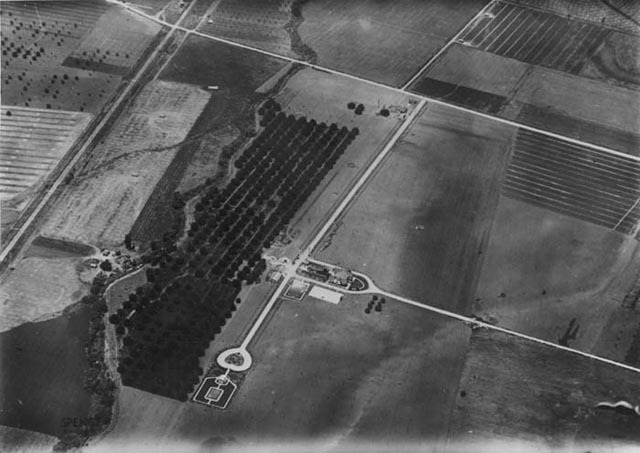 The agricultural legacy of La Puente Valley and especially of Hacienda Heights, goes back at least as far as the 1771 Spanish settlement of the San Gabriel Mission, whose land was used for ranching and grazing purposes. 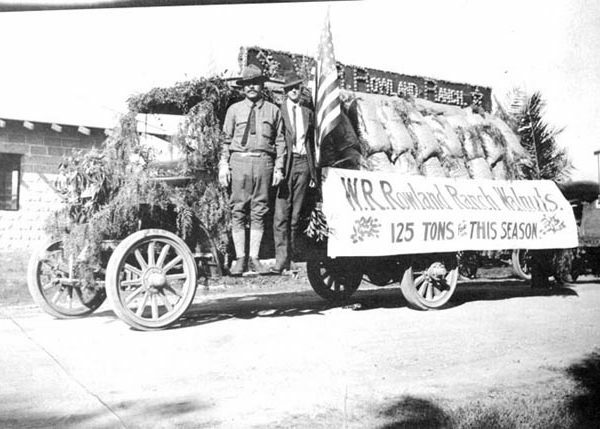 After John Rowland and William Workman arrived in 1841 and started working the nearly 49,000-acre Rancho La Puente, they began what soon became a self-sufficient agricultural enterprise of raising cattle and sheep, growing and milling wheat, and cultivating grapes and fruits for brandies and especially for wines, for which both men were renowned (Rowland was the first large-scale commercial wine manufacturer in California). They split their holdings in 1851, with Rowland receiving about 29,000 acres on the eastern half and Workman getting the remaining westerly 20,000 acres, but both men continued their agricultural pursuits. 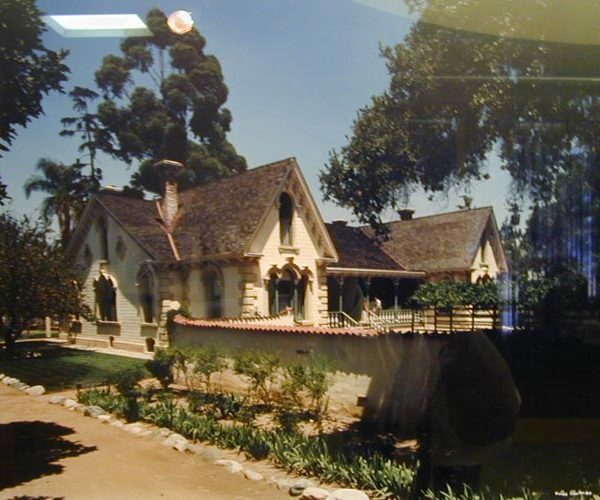 Rowland was able to keep his property financially afloat despite ravaging droughts of the 1860s, and following his 1873 death his heirs held out on selling his property en masse, preserving much of it as open space as late as the second half of the twentieth century. Workman’s property met a sadder fate, as he forfeited almost his entire estate following the 1875 failure of the Temple-Workman bank he founded with his son-in-law, Francisco Temple, the collapse of which caused him to kill himself the following year. However, by the time of their deaths both men had established an agricultural legacy that continued for decades. 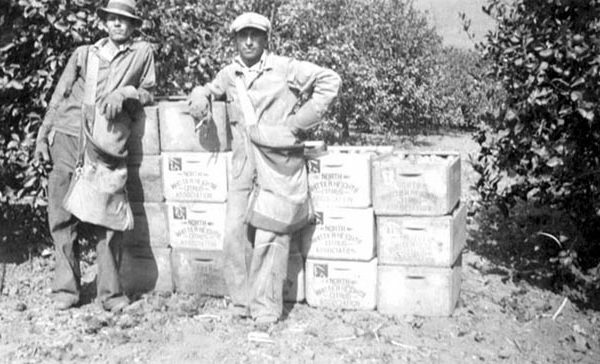 In the early twentieth century, cattle and sheep ranching gave way to avocado and walnut groves and citrus trees laden with lemons, oranges, and grapefruit. 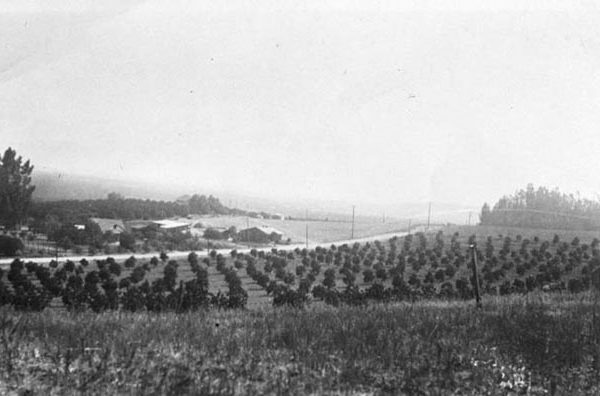 Growers in North Whittier Heights – the predecessor community to Hacienda Heights – started the North Whittier Heights Citrus Association and opened a packing plant near Ninth and Clark avenues, around which grew a settlement called Hillgrove. 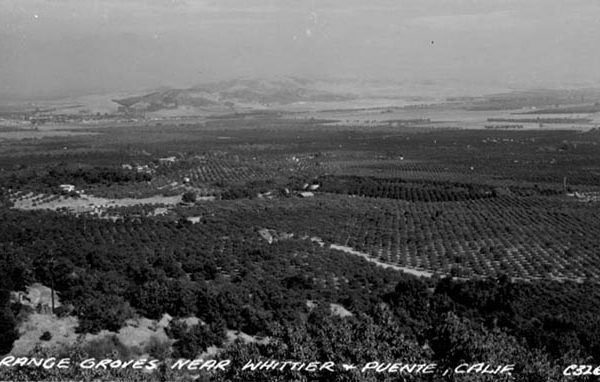 At one point, Hacienda Heights’ flatlands were among the best walnut-producing areas of the state. 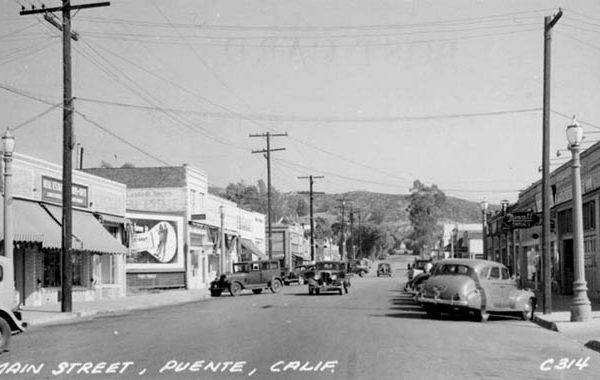 La Puente also became known for its fruit and walnut groves. 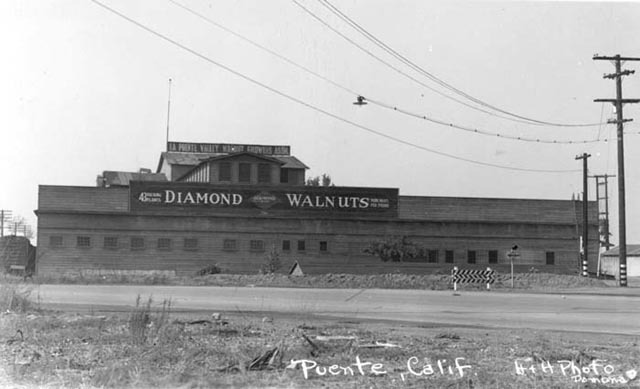 During the 1930s, it was the site of the world’s then-largest walnut-packing plant. 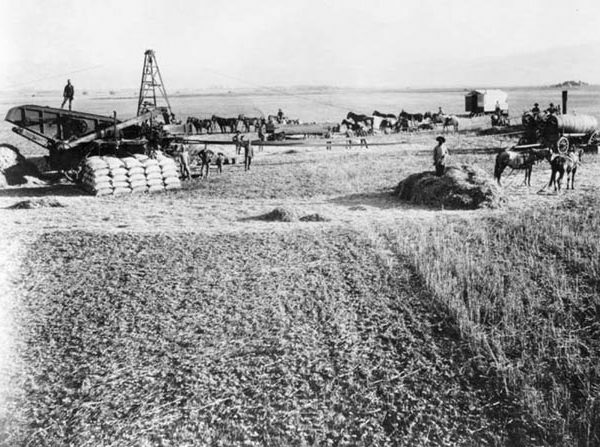 However, insects, disease, and over-population spurred by a post-World-War-II building and population boom proved to be the triple undoing of the valley’s agricultural character. 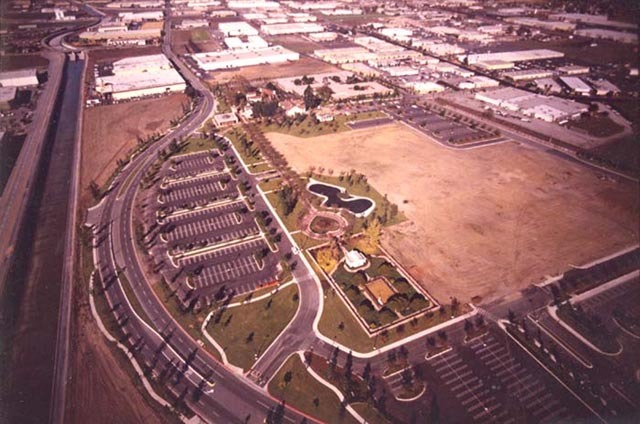 During the 1950s and 1960s, residential, commercial, and industrial development replaced agriculture in the valley. 3. What can you tell me about railroads in La Puente Valley? Though railroad line building in the late 1800s was inextricably linked to development of western states, it met with opposition from a number of ranchers who were worried that trains would mark the end of a need for horses and a demand for hay and barley. 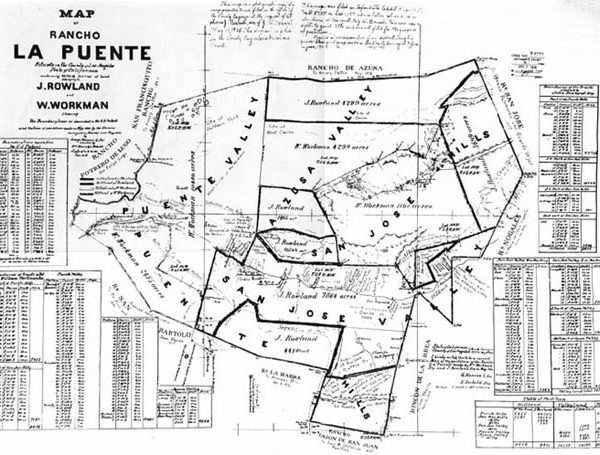 John Rowland and William Workman, the fathers of post-mission settlement in La Puente Valley who in the 1840s received title to the 49,000-acre Rancho La Puente, did not want to give the Southern Pacific Railroad a hundred-foot wide right-of-way between the San Gabriel River and Spadra, saying that it was unnecessary and would be bothersome. They were later persuaded to change their minds and did allow the railroad to be built across their property in the 1870s. Five years later the Santa Fe Railway started a competing line which led to fare wars and brought settlers to the area by the thousands. In 1902, the San Pedro, Los Angeles & Salt Lake Railway-later called the Union Pacific-was also built through the Valley. 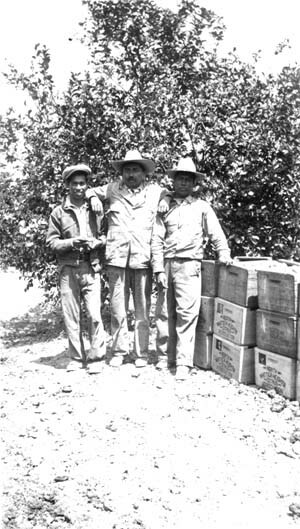 During the region’s agricultural heyday through the mid-twentieth century, the railroads also transported avocados, citrus fruit, and walnuts to an ever-widening market. 4. 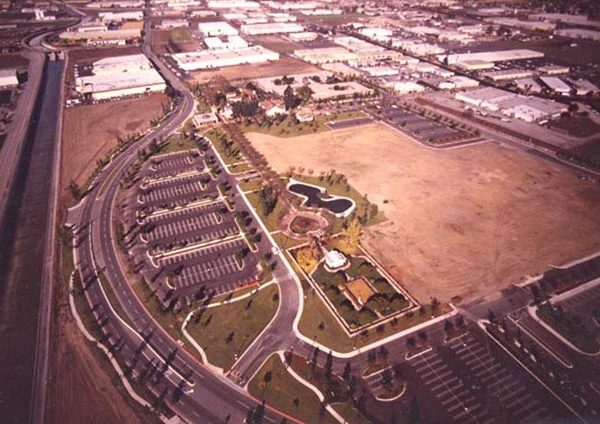 What can you tell me about the suburban development of La Puente Valley? La Puente Valley was agricultural in character until the mid-twentieth century. Cattle and sheep ranching were common on Spanish missions being established starting in the 1770s, and through the 1800s with the arrival of thousands of settlers attracted by the prospect of free or cheap land being offered by the Mexican government after it secularized the missions. 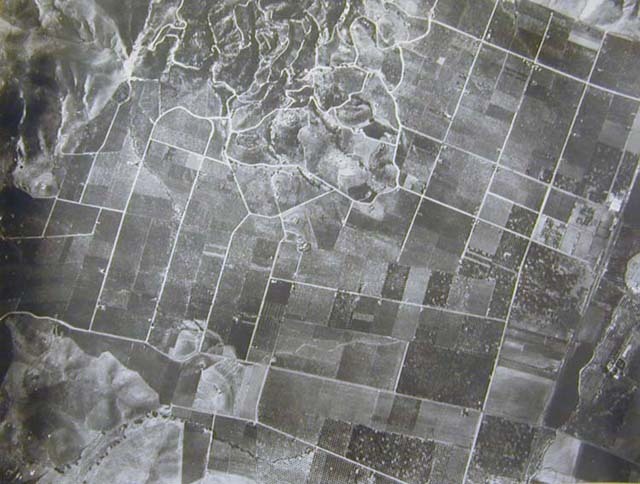 But the agricultural character of the valley gave way to development starting in the 1950s, as a post-war population and building boom necessitated the building of housing on a massive scale and eventually replaced avocados, citrus and walnut groves with housing, commercial, and industrial development. 5. 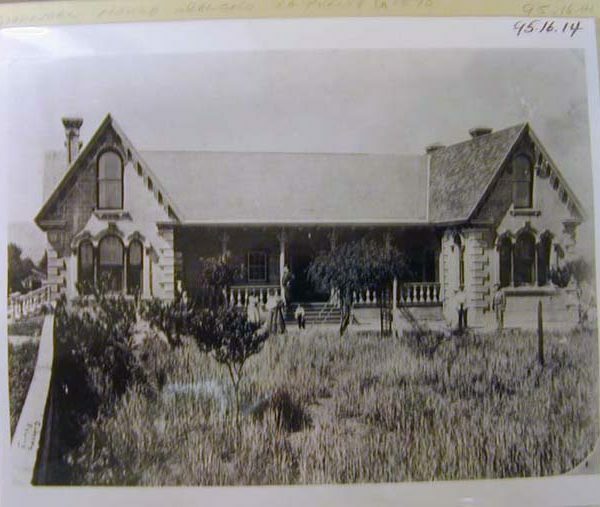 What can you tell me about the John Rowland and William Workman families and ranches? John Rowland and William Workman were friends and business partners who led a wagon train of settlers across more than a thousand miles of desert and mountain terrain from New Mexico to Southern California, arriving in La Puente Valley in November of 1841. They were among the first settlers to obtain a land grant from the Mexican government for properties being given away or sold at bargain prices as part of the secularization of Spanish missions. Their arrival in the valley was a watershed event, for they were the first white men to obtain title to the 48,790-acre Rancho La Puente and to develop it as Anglos into a thriving agricultural enterprise. Rowland, born to British parents who immigrated to New York, moved to Boston while still a young man. There he met a group of fur trappers and headed west, ultimately finding employment with the American Fur Company in Taos, New Mexico. There, he met William Workman, who was born in England but came to America and gravitated to Taos, where he ran a general store and grist mill. Rowland was jovial and friendly, whereas Workman was more the strong, silent type. Though the two men’s temperaments represented a study in contrasts, they both possessed excellent leadership qualities and good judgment and became friends and business partners for life. In September 1841, Rowland and Workman traveled west from Taos, leading a group of several dozen other settlers from Missouri and New Mexico, in what was the first officially-documented immigrant wagon train comprised of people interested in new homes, scientific discovery, or just plain adventure. Workman and Rowland took turns riding at the head of the group, accompanied by their alert collie watchdog, Lobo. The group traveled along the Rio Grande down the Chihuahua Trail, then to the Gila River and the Colorado River by way of Yuma. They took a roundabout route to avoid hostile Indians and only had one unpleasant encounter when the Indians tried to steal their horses and livestock. In November 1841, they reached San Gabriel via Cajon Pass. 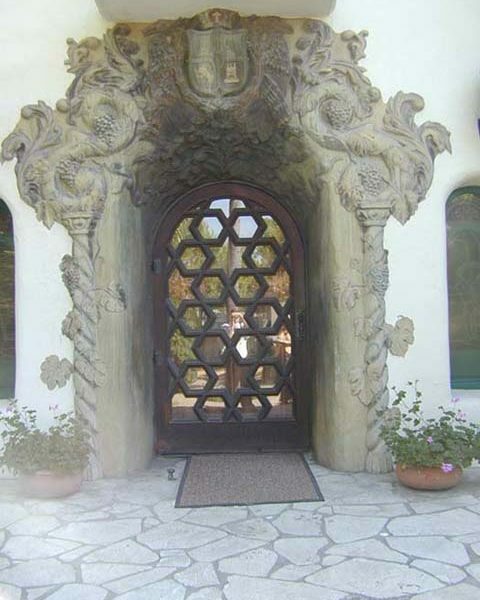 Both men were long used to Mexican customs, having lived for years in New Mexico and being married to Mexican women, and not long after assuring California authorities that they would assimilate well into the new territory they found out that a vast parcel of land named Rancho La Puente had not yet been allotted. In January 1842, Rowland applied on behalf of himself and Workman to Governor Juan B. Alvarado for the 48,790-acre land grant of the ranch, one of twenty-two ranches that had belonged to the San Gabriel Mission. Rowland and Workman had several factors on their side, including letters of recommendation from Padre Tomas Estenaga of the San Gabriel Mission and the Prefect of the Second District of California; their pledges to become Mexican citizens; their promise to hire local Native Americans; and their willingness to pay a thousand dollars in gold for taxes and assessments. On January 4, 1842, Governor Alvarado gave them preliminary title to the land. (It would be three more years before they would receive permanent title from Governor Pio Pico.) 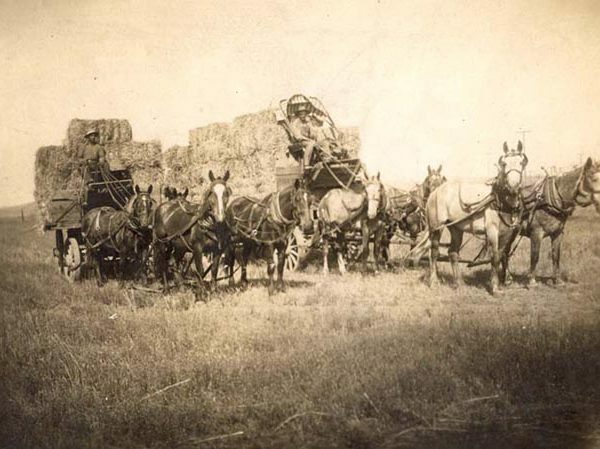 By the end of 1842, additional settlers from New Mexico had arrived to become part of the new ranching enterprise. When it came to the business of running Rancho La Puente, Rowland and Workman had the Midas touch. They built stately adobe houses on the banks of San Jose Creek and soon established a successful ranching and farming operation. They raised cattle and sheep, grew wheat and processed it on-site at grist mills, and produced wool, wine, and brandies. In 1851, they decided to split their property, with Rowland taking about 29,000 acres on the east and Workman receiving the 20,000 acres on the west. Their land division was officially sanctioned only in 1867, following a circuitous route through the legal system. They continued to work their land successfully and showed particular prowess as winemakers; Rowland became the state’s first large-scale commercial wine manufacturer and Workman’s wine was shipped as far away as Boston. Both even survived a devastating drought during the 1860s that decimated much of their cattle herd. Their luck diverged near the end of their lives, however. Rowland’s finances remained intact until his death in 1873, at which time his estate was bequeathed to his next of kin. Workman, however, had decided to start a bank in 1868 with his son-in-law, Francisco Temple. After the bank failed during the Panic of 1875, Workman-who had put up nearly all of his 20,000 acres as collateral-lost the property to Elias J. “Lucky” Baldwin, who had lent the money to start the bank. Devastated, Workman took his own life the following year. 6. What can you tell me about North Whittier Heights, now called Hacienda Heights? 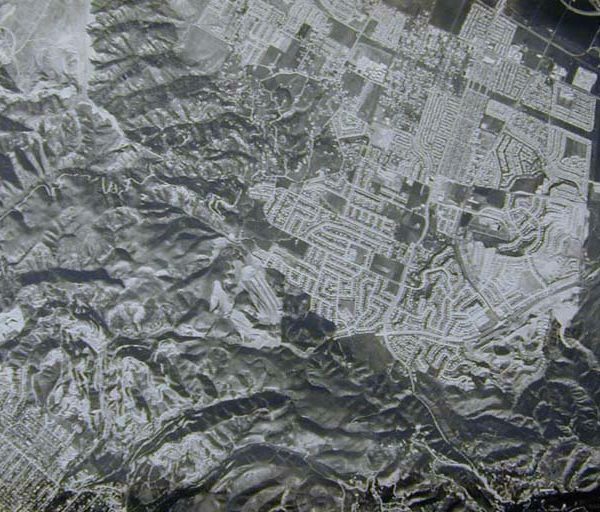 Hacienda Heights is an unincorporated community of more than 40,000 people located on about eleven square miles in eastern Los Angeles County in the San Gabriel Valley. 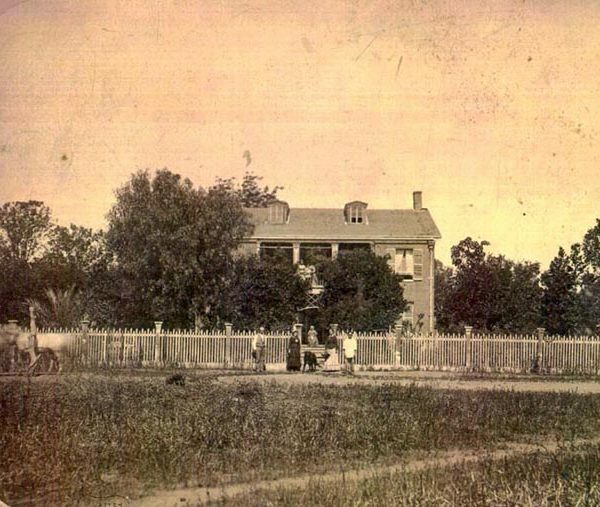 The community was built on property that was originally part of the nearly 49,000-acre Rancho La Puente to which John Rowland and William Workman obtained title after arriving in La Puente Valley in 1841. Workman lost his half of the property in 1875 to lender Elias J. “Lucky” Baldwin after a bank Workman had founded went bankrupt and he had to forfeit his property as collateral. Not long after, the Southern Pacific and Santa Fe railroads built lines through the region that opened it up for development and attracted settlers, and Baldwin began subdividing his property. 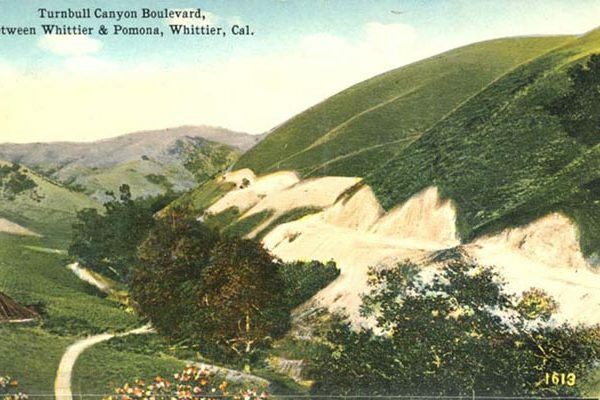 In 1912, one of his descendants, Anita Baldwin, sold 1,826 acres to Edwin Hart and Jed Torrance, who subdivided the land for agricultural use and named the community North Whittier Heights. 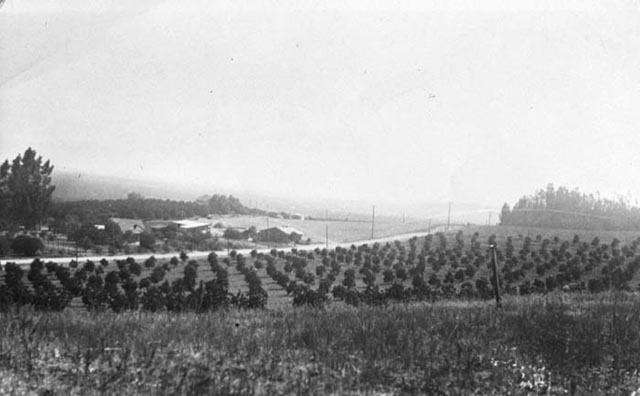 The area soon became renowned for its citrus, walnut, and avocado production. Like so many Southern California communities, however, it was transformed after World War II from a quiet agricultural community to a large residential suburb. 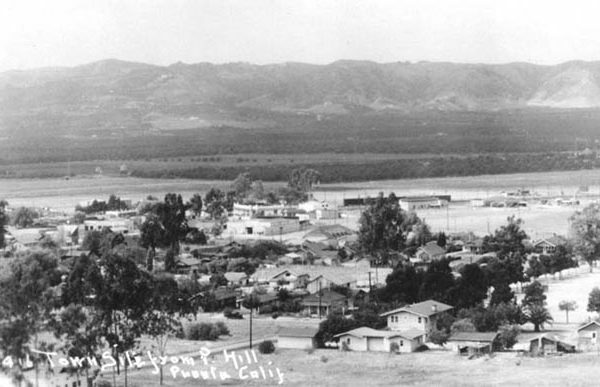 In 1961, North Whittier Heights successfully petitioned to change its name to Hacienda Heights, and shortly afterward drafted a master plan for its development. 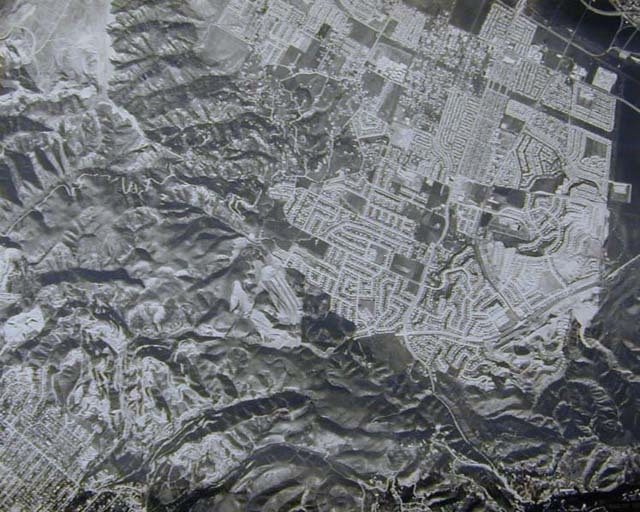 Since then, Hacienda Heights has held several unsuccessful elections to incorporate as a city that have failed for a variety of reasons, among them the opinion that its sales tax base is too small and that it is simply a bedroom community for the nearby City of Industry, which was incorporated in 1957. In recent years, the community has experienced several major cultural changes, including the 1988 completion of the Hsi Lai Temple, the nation’s largest Buddhist temple that has attracted a large Chinese population. However, vestiges of Hacienda Heights’ early history remain, as some of the original homes from Rancho La Puente still stand on a 92-acre tract of land between Gale Avenue and Valley Boulevard. 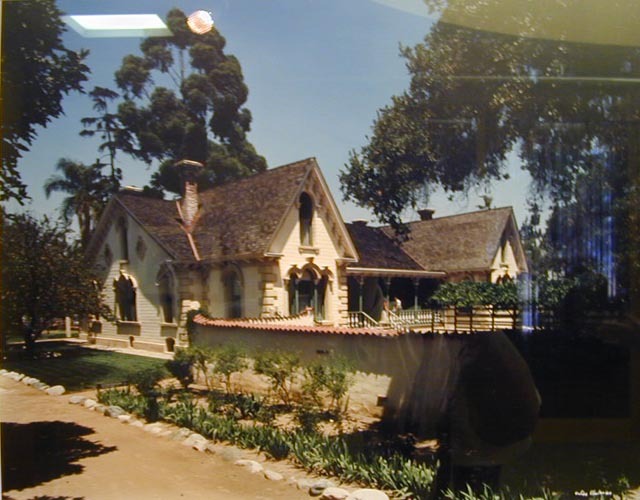 Other homes of early settlers are sprinkled around or near Hacienda Heights, some of them the dwellings of descendants of Rowland and Workman. 7. What can you tell me about the Native Americans of La Puente Valley? Before the arrival of Spanish explorers in the region in 1769, the La Puente Valley was inhabited by Gabrielinos, who named the area “Awig-na,” meaning “Abiding Place.” Gabrielinos were, except for the Chumash, the wealthiest, most powerful, and most populous Native group prior to California’s habitation by European settlers. The territory they inhabited in Southern California was vast and included the Los Angeles basin; Los Angeles, Santa Ana, and Santa Monica river watersheds and those of several smaller creeks; the coastal area between Aliso and Topanga creeks; and San Clemente, Santa Catalina, and San Nicolas islands. They were named for the San Gabriel Mission established in 1771 in what had been their territory. After Spanish explorers and missionaries established the missions they put the Gabrielinos to work as laborers. However, the arrangement was far from amicable in the long run, as the Native populations had many violent confrontations with the Anglo settlers and also saw their populations drop dramatically because of dietary problems and disease. 8. What can you tell me about La Puente Valley and the city of La Puente? 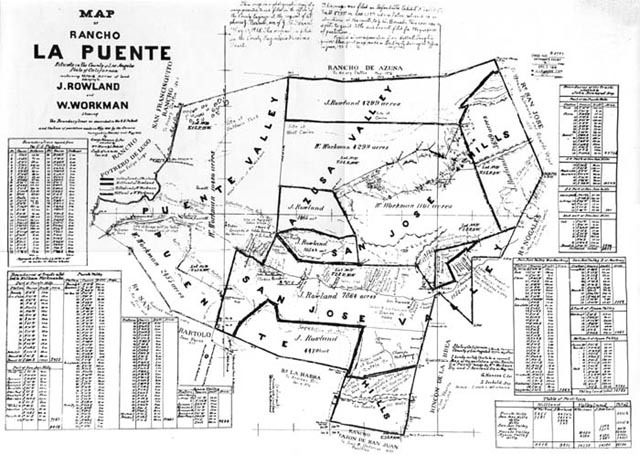 The city of La Puente grew out of John Rowland’s half of the original 49,000-acre Rancho La Puente. In 1885, developers George Stimson and A.E. 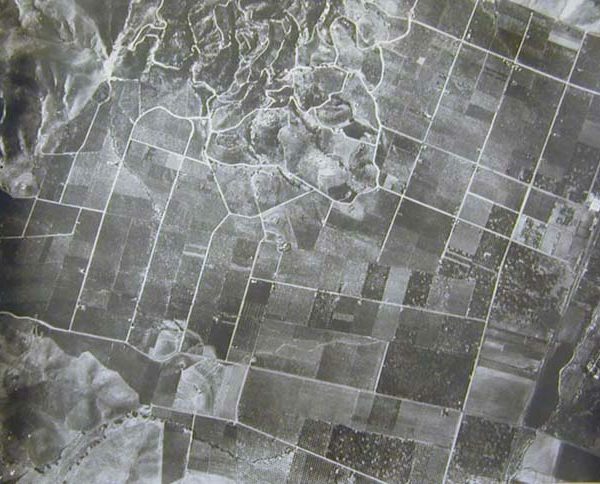 Pomeroy bought 20 acres from Rowland’s son, Albert, and the next year they began laying out the township of La Puente during the peak of Southern California’s building boom. In 1887, the Rowland Hotel, the Stimson Building, and the community’s first church were the first three buildings to be constructed in the new downtown. The town survived major fires in 1897 and 1923 and evolved as a prosperous agricultural community during the first half of the twentieth century. During the 1930s it was especially renowned for its fruit and walnut groves, even boasting the world’s largest walnut-packing plant. Like other Southern California communities, its groves gave way to development after World War II, and today La Puente – which means “The Bridge” – is a mostly residential community of more than 41,200 residents. It was incorporated as a city on August 1, 1956. 9. What can you tell me about the schools of La Puente Valley? 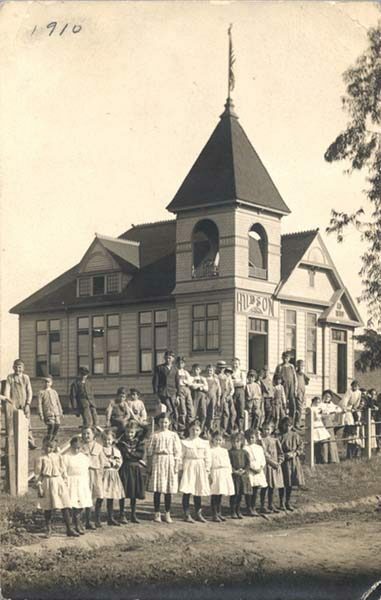 The school system of La Puente Valley dates back to 1887, when the Hudson School District was formed; a year later, a mere sixteen students attended the district’s only school, a one-room building resembling a church. 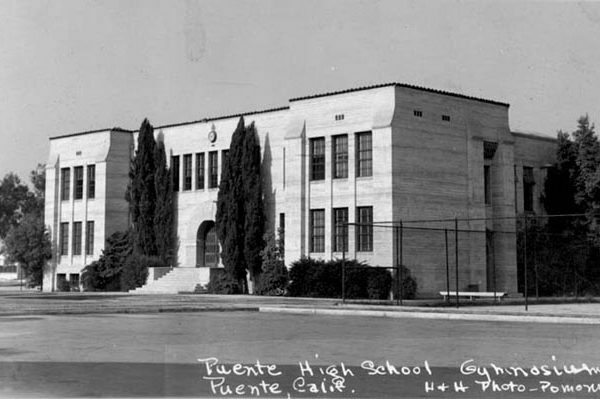 In 1915, the La Puente Union High School District was formed. The district grew over the years and survived Depression-era cutbacks and a 1933 earthquake. Post-war growth in the valley spurred similar growth in the school system, so that in 1951, four new school buildings were built for about half a million dollars. Today the valley is known for its excellent school system.